What’ better than a stroller that can go anywhere you go? The newest addition of Bugaboo strollers is here! This chic looking baby stroller has the ability to adapt to the needs of your little ones. Goes everywhere and anywhere you go! Take a stroll in the park, along the boardwalk, or trails in the color of your choice! With thoughtful accessories that allow you to customize the Bugaboo Cameleon and transform it into an expression of your own taste, mood, and style! This is the stroller for you! 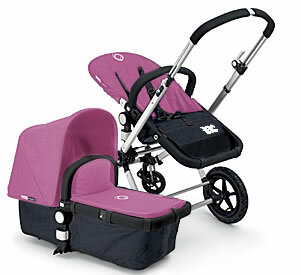 You can find these amazing strollers at Estella-nyc.com!